Below is a letter from Professor Dr Derek Summerfield to Sir Mark Pepys, a Zionist academic at University College, London. 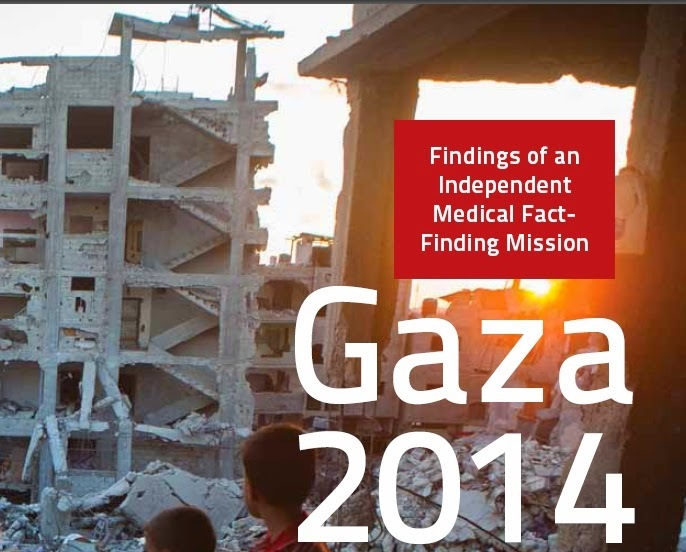 Pepys has spearheaded an attack on The Lancet medical magazine and its editor, Dr. Richard Horton, for it printing a letter criticising Israel for its genocidal bombing of Gaza last year. I also enclose a letter that I sent to Pepys. I am aware that Professor Graham Watt and colleagues have already sent you a response to your attack on The Lancet editor Dr Richard Horton and the signatories to the Manduca et al letter published in The Lancet during Operation Protective Edge in Gaza last summer. As one of the signatories of that letter I wish to reply on my own account. An early indication that yours is simply an indiscriminate smear letter is the inclusion of entirely irrelevant material- the Lancet publication of the Wakefield MMR paper 17 years ago, your highlighting of what one signatory might have said in a talk somewhere, what Internet material another signatory might have looked at etc. Your detachment from the human costs of Operation Protective Edge, and the medical ethical issues thrown up, was there from the start. I note that you, Sir Mark, were quoted in the Telegraph of 22 September 2014 as saying on 29 August, at the height of the bombardment, that the Manduca et al authors were displaying "most serious, unprofessional and unethical errors". Not a word about events on the ground in Gaza, yet these were the events which even then the UN, Amnesty International and Human Rights Watch were all recording as prima facie evidence of war crimes! 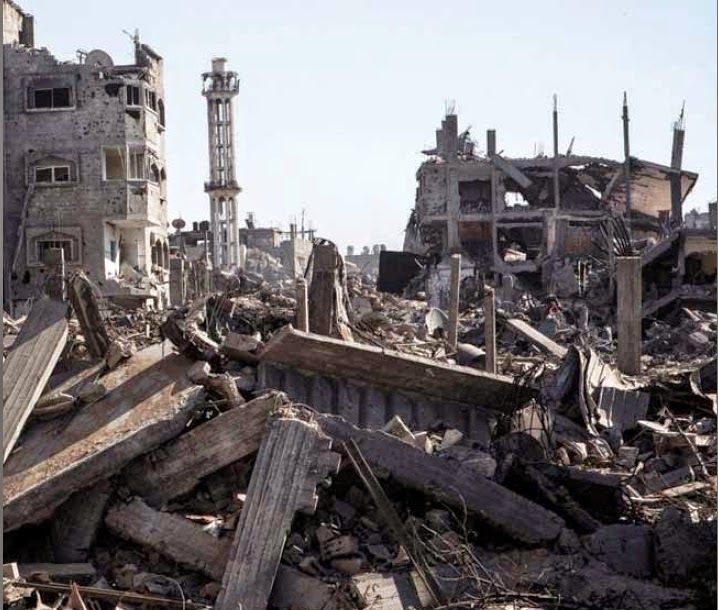 Since then The International Criminal Court has opened a preliminary examination of war crimes violations during Operation Protective Edge. I would suggest that if a letter of protest with exactly the same contents had appeared in The Lancet, but where the State concerned was, say, Sudan or Syria, you would have no reason to see as it as objectionable or as inappropriate material for a medical journal, and might well have applauded such coverage- after all, the medical profession has a duty to individual patients, but also a generally recognised wider ethical duty to address the social origins of distress and disease. So how are we to understand the apparent exceptionalism you display? In his classic work "Phenomenology of Sociopolitical Actions: A Methodological Approach to Conflict", the sociologist Max Weber distinguished between an "ethic of responsibility" and an "ethic of conviction". By "ethic of responsibility", Weber meant conformity to professional standards and accountability. In our profession this means the ethical standards by which doctors should practice, including a commitment to factual evidence- standards determined by their peers, employers, the General Medical Council and, on the international scene, by the World Medical Association. By "ethic of conviction", Weber was identifying actions that were inspired by personally valued ideals, political or other philosophies, or identities. In my 29 years of conflict-related human rights work (23 on Israel-Palestine), I have witnessed how regularly an ethic of conviction trumps an ethic of responsibility, not least amongst doctors, and this is sadly true of you too. The signatories of your letter seem united around a felt connection with Israel and a wish to defend it, and this is what counts. In the service of this you can dismiss war crimes, seek to bludgeon a medical journal into silence, and demand that a letter grounded on so multiply documented an evidence base be retracted. This is a flagrant abuse of medical ethics. You write as if you had the ethical clarity that would attach, say, to your discovery of research fraud in a published paper, and your further discovery that the editor of the journal concerned had been in knowing collusion with this fraud! Those signatories who are Israeli are in support of the state of which they are citizens; the majority of signatories who reside elsewhere are serving the propaganda interests of a foreign power. Your allegations are defamatory and libellous: that we published "deliberately inflammatory falsehoods....abusive dishonesty.....unverifiable dishonest 'facts'.....malignant wilful disregard of honest and ethical medical authorship and editorship.....under the direction of Horton, The Lancet has become a vehicle for publication of deliberately false material..." So we - both authors and editor- are publishing lies which we know to be lies in a famous international medical journal? Few allegations made against a doctor could be much graver than this. I quote from the GMC publication Good Medical Practice (2006). In the section on Working with colleagues, doctors must "respect the skills and contributions of your colleagues" (para 41); "you must treat your colleagues fairly and with respect. You must not bully or harass them or unfairly discriminate against them by allowing your personal views to affect adversely your professional relationship with them. You should challenge colleagues if their behaviour does not comply with this guidance" (para 46); "you must not make malicious and unfounded criticisms of colleagues that may undermine patients' trust in the care or treatment they receive, or in the judgement of those treating them" (para 47). In the section on Probity, the GMC says that "probity means being honest and trustworthy, and acting with integrity: this is at the heart of medical professionalism" (para 56); "you must make sure that your conduct at all times justifies your patients' trust in you and the public's trust in the profession" (para 57). In the section on Writing reports, giving evidence etc, the GMC says that "you must do your best to make sure that any documents you write or sign are not false or misleading. This means that you must take reasonable steps to verify the information in the documents, and that you must not deliberately leave out relevant information" (para 65); ...you must be honest in all your spoken and written statements. You must make clear the limits of your knowledge or competence" (para 67). As one of the signatories whose academic reputation your letter seeks to blacken, I am an involved party and I challenge you retract your allegations promptly or justify them evidentially. If you fail to do so I will look to appropriate action, starting with a formal complaint to the General Medical Council naming yourself as lead signatory for a start. 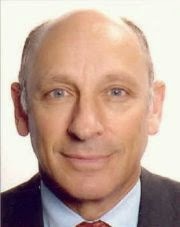 Honorary Senior Lecturer, Institute of Psychiatry, King's College, London Consultant Psychiatrist, South London & Maudsley NHS Trust Formerly Research Associate, Refugee Studies Centre, University of Oxford; Consultant to Oxfam and other humanitarian organisations; Principal Psychiatrist, Medical Foundation for Care of Victims of Torture. I find it difficult to believe that you could attack The Lancet and its Editor Dr Richard Horton over its coverage of Operation Protective Edge. If over 500 Jewish children were killed as a result of the bombing of a Jewish school then you would have been the first to criticise those responsible. Over 500 Palestinian children were killed by Israeli bombing of schools and homes, yet you have concentrated exclusively on the Lancet's criticism of Israel's indefensible bombing. Palestinian blood is obviously not of the same quality as Jewish blood. It is clear that your support of Israel outweighs any moral or ethical consideration. I often wondered how Germany's SS doctors could so blatantly disregard the hypocratic oath and their duty of care to those they treated. Their loyalty to volkish and racial politics superceded any other consideration. Your support for Zionism and its military aggrandisement is likewise more important than those who suffer on account of its colonial designs. Yad Vashem honours righteous gentiles. It's a pity that there aren't a few righteous Jews amongst the Jewish establishment in this country. Your actions and vendetta against The Lancet are a disgrace. 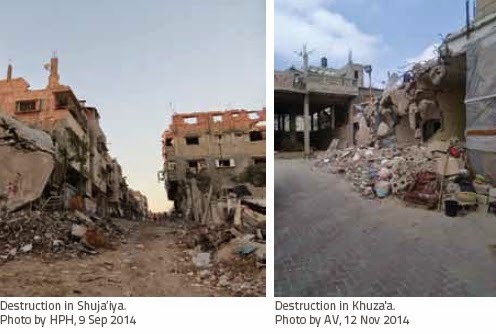 • At least one case in which a mine-breaching explosive device (tsefa shirion) was used in a residential street in Khuza’a, Khan Younis, causing massive destruction. • Civilians in a house occupied by Israeli soldiers suffered abuse and ill-treatment including beatings, denial of food and water, and use as human shields. One was shot dead at close range. 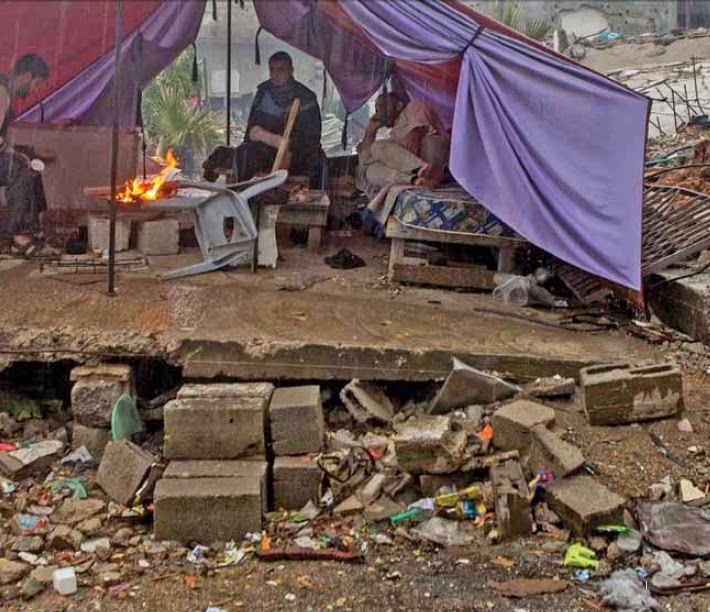 • An increased need for rehabilitation services and insufficient current resources in Gaza to meet them. 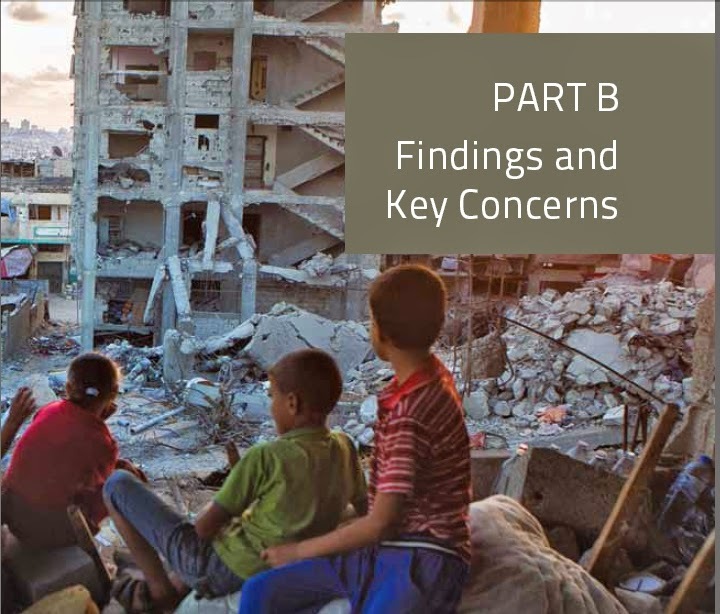 • The attacks were characterised by heavy and unpredictable bombardments of civilian neighbourhoods in a manner that failed to discriminate between legitimate targets and protected populations and caused widespread destruction of homes and civilian property. Such indiscriminate attacks, by aircraft, drones, artillery, tanks and gunships, were unlikely to have been the result of decisions made by individual soldiers or commanders; they must have entailed approval from top-level decision-makers in the Israeli military and/or government. • In Khuza’a, the reported conduct of specific troops in the area is indicative of additional serious violations of international human rights and humanitarian law.